Saim Caglayan was born in 1949 in Istanbul, Turkey. He received his BA in Sculpture in 1974 from CSULB and taught art in California Community Colleges for 25 years. Saim and his wife resided in Laguna Beach from 1974 to 2002. 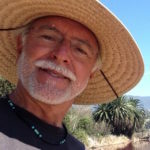 In 1996, he founded the Laguna Plein Air Painters Association. In 2002 he built a house in Kauai and became bi-coastal. 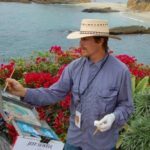 His love of plein air painting helped start the Laguna Beach Plein Air Painting Invitational, Maui Plein Air Painting Invitational, Borrego Springs Plein Air Painting Invitational and Kauai Outdoor Painters Association. His sense of art is one of reflecting the power, beauty, tranquility and mystery of our planet earth. Toni Kellenberg joined LPAPA's board in 2013 as its Social Media Director, and became President in 2014. She has been a LPAPA event volunteer since 2007 and has served on the Invitational Planning Committee since 2013. 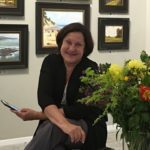 As LPAPA's social media director, Toni works across all social media platforms to connect LPAPA, and its Members, to the global art community. As President, Toni's focus has been to grow membership, raise awareness of LPAPA's mission, and gain support to sustain LPAPA's future. 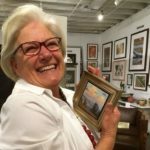 She is a LPAPA Artist Member. She and her husband Steve live in Laguna Beach, and have a passion for land conservation and collecting plein air art. Mary Linda Strotkamp and her husband Jay both grew up in Laguna Beach, where she studied fine art both privately and at Laguna Beach High School. After receiving an art Scholarship from the Laguna Beach Festival of Arts, she majored in art at U. C. Berkeley. While raising her four children in Tulsa, Oklahoma, she continued her passion for art as a student, painter, teacher, docent, and collector. 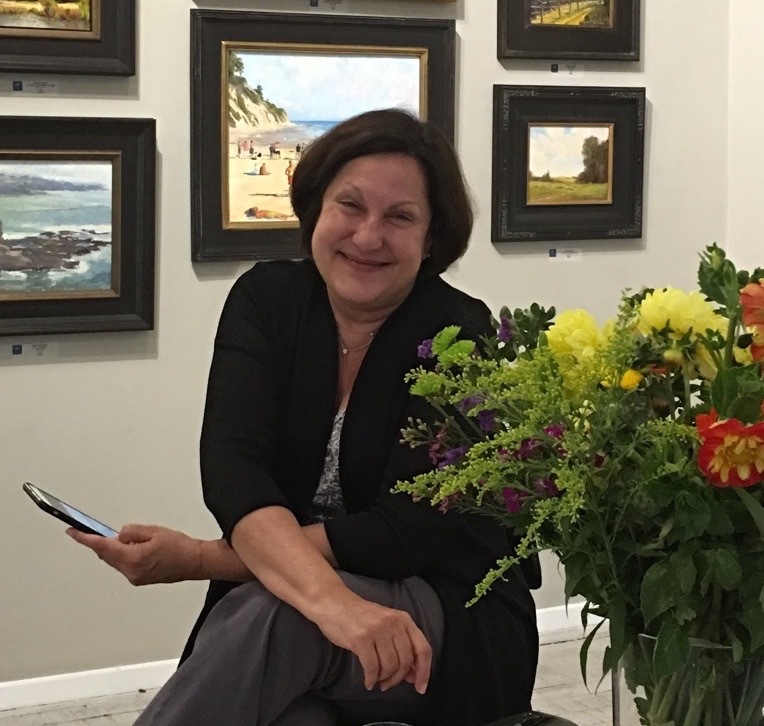 After returning to Laguna Beach in 2000, she and her husband became active in the Laguna Plein Air Painters Association, where she has served on the board for the past ten years. Mary Linda and Jay Strotkamp were presented with LPAPA's "Lifetime Member" award recognition in October 2015. 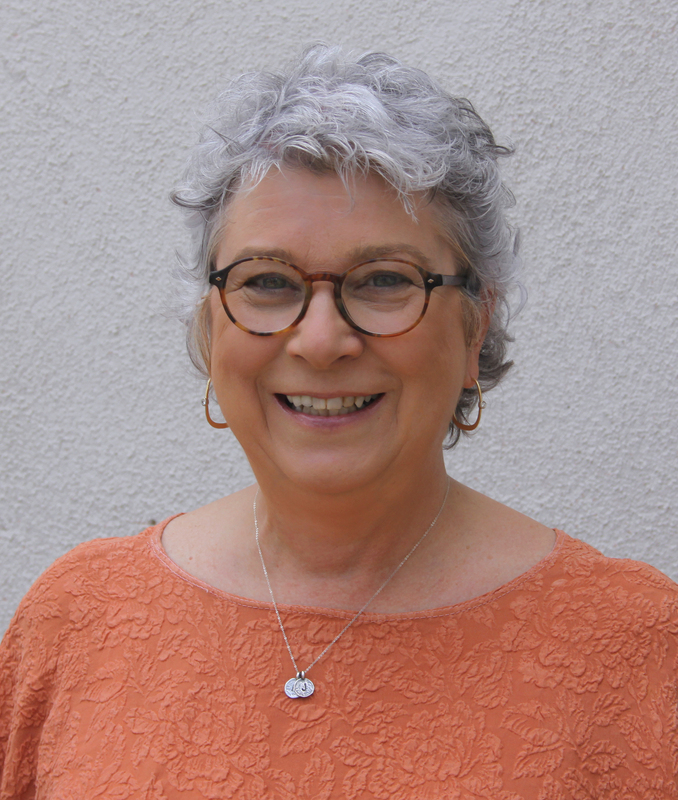 Cheryl Kinsman, a Certified Public Accountant, is a former Laguna Beach City Council member who believes strongly in service to Laguna Beach. Cheryl is a passionate collector of plein air art. She lives with her husband Michael and two sons, Joshua and Nicholas, in South Laguna. 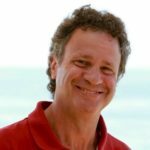 Harry Bithell specializes in Laguna Beach homes for sale and the Orange County real estate market. 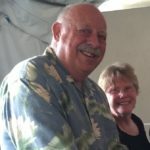 He has been on LPAPA's Board of Directors since 2011, and he and his wife Suzi are passionate plein air art collectors. 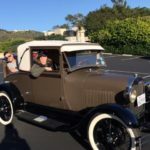 In addition to serving on LPAPA's board of directors, he volunteers with the Laguna Beach Rotary and helps to present their annual car show. 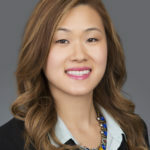 Jackie Demee is a Regional Sales Office Supervisor for BNY Mellon Wealth Management. In this role, she is responsible for office management, coordination and implementation of local marketing events and support of the Regional President and Senior Directors. 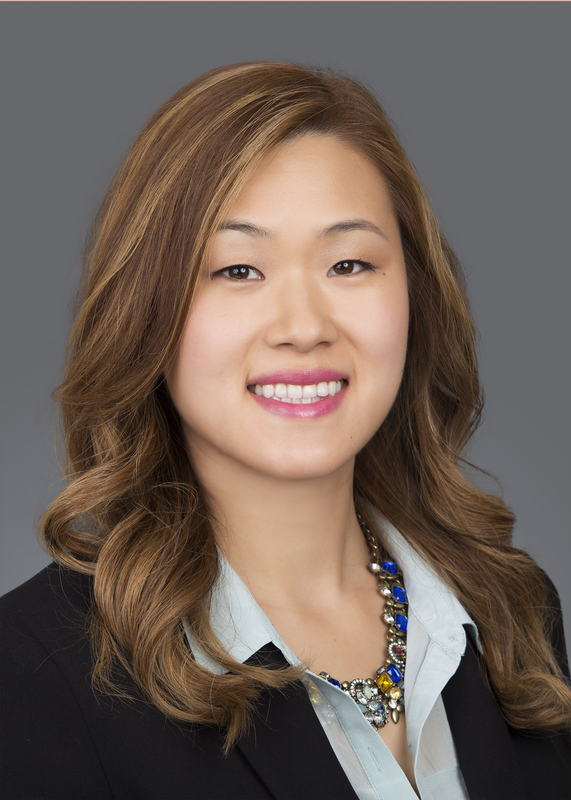 Jackie joined the firm in 2013 and has more than seven years of experience in the financial and professional services industry, specializing in commercial real estate and wealth management. Jackie received her bachelor’s degree from the University of California, Irvine. She joined LPAPA's board as an Ex Officio in an advisory role in 2017. Steve Dicterow is a business and community leader, City Council member and former three-term mayor of Laguna Beach. He has been deeply involved in Laguna Beach civics and arts, and many non-profit organizations. 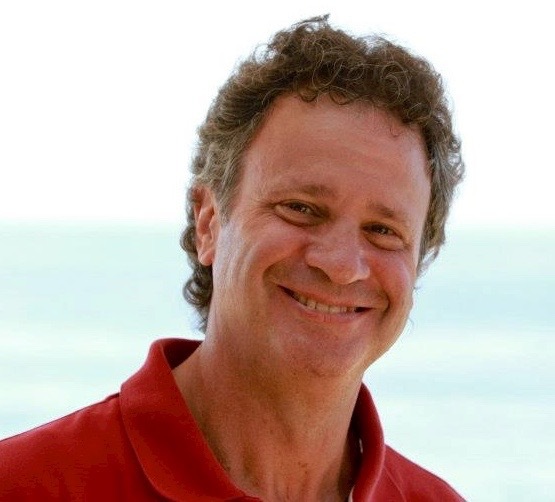 He joined LPAPA's Board of Directors as an ex officio in 2016, and brings his 12 years of experience on the Laguna Beach City Council and his private sector experience in business development, financial management, and strategic planning and operations, as an Advisor to help guide LPAPA's future. Melanie Froysaa joined LPAPA's board in 2015, and currently serves as LPAPA's Director of Marketing. 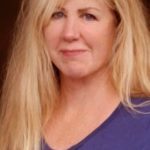 She has been a volunteer member of LPAPA's Invitational Planning Committee since 2014. Melanie is a LPAPA Artist Member. She and her husband Dave are avid art collectors, with a particular passion for plein air art. Celeste Gilles has served on LPAPA’s Invitational Planning Committee since 2013, joined it’s Board of Director’s in 2014, and currently serves as LPAPA’s Director of Community Relations. Celeste is passionate about art and how it relates to our community, and she is also a LPAPA Artist Member and a devoted collector. She graduated from the University of Southern California, and has been selling luxury real estate along the Orange County Coast for over 20 years. Celeste, along with her husband and two sons, and like those early California painters, loves to enjoy the surf, sun and outdoor sanctuary that is abundant in Laguna Beach. Debra Huse is a contemporary American Impressionist painter and is the owner of the Debra Huse Gallery in Balboa Island, California. 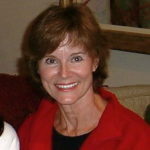 Debra joined LPAPA's board of directors in 2013 and serves to facilitate Member painting and mentoring events. She enjoys working in oils and is a Signature Member of the American Impressionist Society, the American Society of Marine Artists, Laguna Plein Air Painters and Pastel Society of America. She enjoys painting on location and has painted in many plein air events across the country. Debra Huse has been featured in Southwest Art Magazine, Plein Air Magazine and Art of the West Magazine. 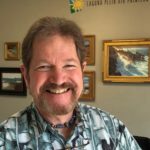 Ludo Leideritz is the owner of the Forest & Ocean Gallery in Laguna Beach and helps curate the "LPAPA in Residence" juried art shows. He joined LPAPA's board of directors in 2016. He is passionate about art and supporting the artists and LPAPA. Elizabeth Pearson was one of the early members of the Board of Directors of LPAPA, serving on the Board for 18 years. She is now a valued Advisor. A 12-year Laguna Beach city council member, Elizabeth served three terms as the City’s Mayor. She was also well known as an arts advocate on City Council. 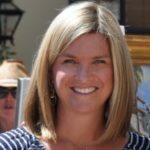 Elizabeth has served on the Board of Directors of the Laguna Art Museum and has served on the Laguna Beach Live! board for 14 years. She is now the President & CEO of Pacific Chorale, the resident choir of the Segerstrom Center for the Arts. Prior to joining Pacific Chorale, Elizabeth was the Development Director for the Laguna Playhouse. Jeffrey A. 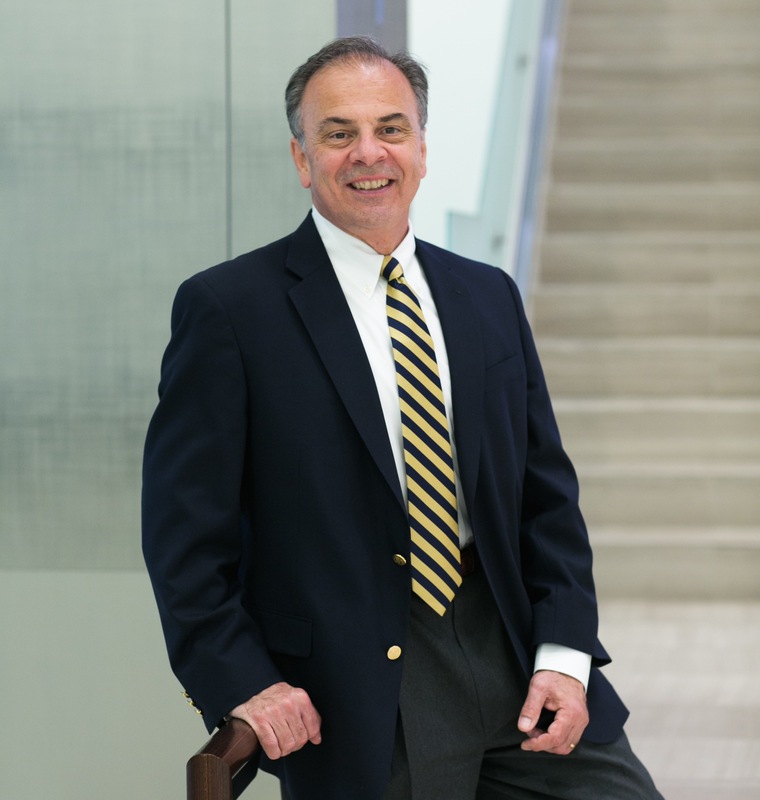 Pierce, MBA is Vice President/Investments at Stifel. He began his career in 1980 with San Francisco-based Sutro & Co. His love of art began during this period while visiting the Lower Nob galleries along Sutter Street. In 2013, LPAPA board member Mary Linda Strotkamp introduced Jeff to the organization. Since that time, the Hansen/Pierce Wealth Management Group at Stifel has been a sponsor of the annual LPAPA Plein Air Painting Invitational. Jeff holds a BS from Arizona State University and a MBA from the Paul Merage School at the University of California, Irvine. Jeff Sewell is a LPAPA Signature Artist Member and multi-year Invitational participant. He joined LPAPA's board of directors in 2013 and currently serves as its Director of Education. Jeff was instrumental in developing LPAPA's Plein Air Project, a four part youth education program designed to integrate with 4th Grade studies of California history. 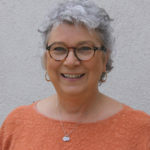 A recognized authority on California Impressionism, Art Historian Jean Stern has extensive experience in the field as an author, curator, lecturer, and teacher. 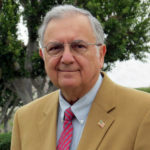 He has been the executive director of the Irvine Museum since its inception in January 1993, and has established a national presence for the Irvine Museum in the fields of California Art and History through a noteworthy international series of books, exhibitions, lectures, articles and video documentaries. He has written or contributed to over twenty-five books on California art. He is an artistic advisor to LPAPA and its annual Invitational "Best of Show" judge. LPAPA's Executive Director since 2009. 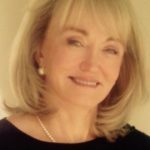 A career woman, with over forty years of professional experience that includes, sales, managerial, creative and accounting skills. Has owned and operated two successful business to business companies, organized large scale events for arts organizations and nonprofit foundations, and has expertise in sales and direct marketing. A hands on, no nonsense professional with effective communication skills and a broad knowledge of the arts in both the retail and institutional world. Rosemary is the proud recipient of the Laguna Beach Alliance for the Arts 2014 Art Star Award for Arts Leadership.